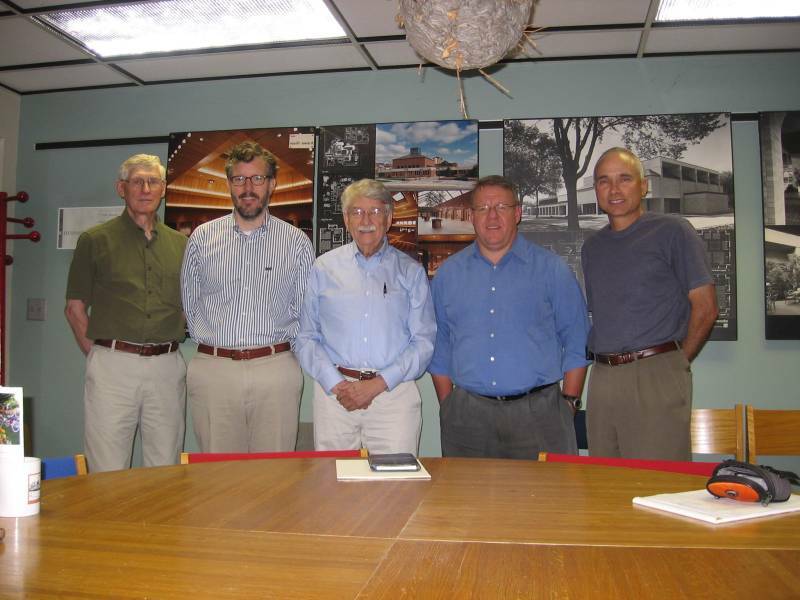 For their most recent business visit, members of the NDDC Board visited SMSQ Architects. Partners Steve Edwins and Steve Wilmot were very generous with their time and ideas. The firm was established in 1949 and has been located on downtown’s west side since the very beginning. The firm currently has five full-time employees and five part-time employees and has “given birth” to a number of other firms in town. Like so many of Northfield’s creative or knowledge-based companies, SMSQ is a major exporter. They perform quality work in other communities and bring the money back home to Northfield. Currently the firm is working on projects in Montana, Wisconsin, Kansas, California, and Duluth. Edwins and Wilmot said that Northfield was a delightful place to live and work. Edwins noted that it’s very efficient to live and work in town. Wilmot suggested that it is important for the community to be attractive to people in the creative professions. Edwins added that Northfield should do more for existing businesses. In particular, the City should enhance the mix of incentives and programs available for these firms. He joked that we should become known for Cows, Colleges, and Capital. Wilmot and Edwins encouraged the NDDC to propose or initiate projects that enhance the quality of life. They suggested that we should be pro-active, bring groups together, identify needs, provide continuity, and support persistence. Finally, they suggested we should all work for alternative transportation options, be more aggressive in supporting bicycle transportation, and design for sustainable lifestyles. Like I said, they were very generous with the time and ideas.